It’s true that more and more men are giving up their electric shavers and five-blade cartridge systems to shave like their grandfathers did. A whole subculture of shavers who enjoy the art of shaving has grown up. These shavers use metal safety razors, shaving mugs, and brushes as part of their daily routine, but there are a few hobbyists out there who take it a step further. They take their pursuit of the perfect shave so seriously that they only use the best straight razor possible. For those who want the closest possible shave at the lowest price, here are eight best straight edge razors available today. The Sharp Equinox razor is basically a straight razor that works with disposable blades. 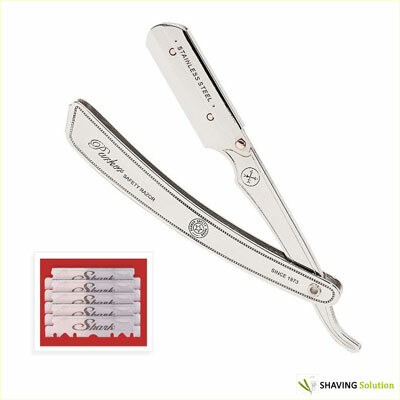 It’s a shavette that looks like a traditional straight razor. 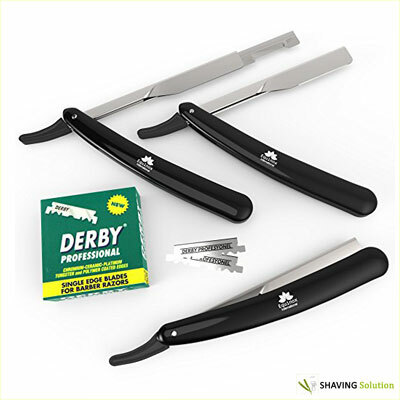 Shavettes are, in fact, more commonly used by barbers than regular straight edge razors since disposable blades are more hygienic and are also sharper, meaning a closer shave. The Sharp Equinox is on our best straight razor list because it brings you the best of both worlds. This professional-grade product comes with a supply of disposable single-edge blades. The razor comes in two versions: a black single-edge razor and a steel single-edge razor. Or a double-edged razor. The two single-edge razors come with 100 disposable blades each, and the steel razor can also be purchased with 300 blades. The “Hi-Chromium” blades are built to last and make this straight edge razor a great value. Reviews for the product are consistently solid. Its users cite the extremely close shave they get, and several people thought it to be a much more expensive razor. 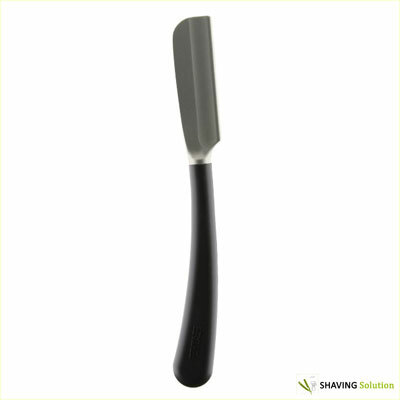 If you’re looking for a best straight edge razor, keep in mind that this is a shavette, meaning that it uses disposable single edge razors. However, the Sharp Equinox comes with so many blades that you might just be set for a year or more—all for an affordable price. This is another excellent little shavette from a small US-based manufacturer called Cornucopia Brands. The Cornucopia razor is made of stainless steel and is easy to open, unlike many razors in this price range, which tend to jam up until they get worn in. It also comes with a leather case, which makes it a great gift for a man who is interested in wet shaving. This Cornucopia best straight edge razor is 8.5 inches long, the perfect size for a solid grip, and is designed to work with all brands of replacement blades on the market. The razor only comes with the case, but you can pick up the razor and also add a box of blades, all for a good price. Reviews for this product are almost all positiv, and this small company is very customer-oriented. Cornucopia’s shavette is a great find for someone looking for a low-cost way of getting into wet shaving or ditching the expensive cartridge razors. Note: This product is not available at the moment. Until it gets back in stock, you may want to check out this similar option which also features a 8.5 inch blade. Parker’s SR1 is a true barber shop shavette, without the barber shop price. And it’s an inexpensive way to start using straight edge razors. The blade arm is made of real stainless steel and the razor is designed with safety in mind, which makes it a good choice for newcomers to using straight edge razors. The Parker SR1 has a round edge of the blade compartment to reduce the risk of cuts. The razor also comes with a snap-lock mechanism to prevent accidents when loading replacement blades. This straight edge razor comes with five blades to start with, and replacements are easy to order. Reviews are overwhelmingly positive. 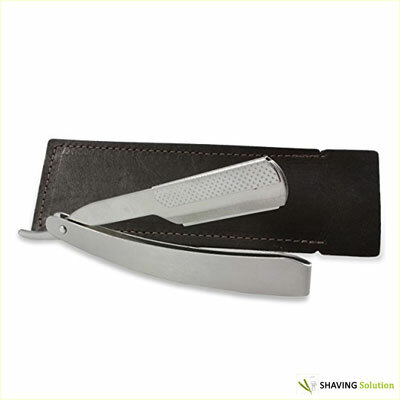 Most users are very happy with the close shave they get and the ease of use of this razor. So if you’re looking to make a small investment and start wet shaving, the Parker SR1 is definitely among the best straight razor names out there. Safety features, the Parker name, and the low price set this razor apart and make it an outstanding value. If you’re looking for a true straight edge razor, not a shavette, you’ll have to invest a bit more money. But you’ll never have to spend money on blades again. Velvet Forge’s straight edge razor is a good choice for shavers looking to take the plunge and get this best straight edge razor. The built-in four-inch blade on this razor is meticulously honed to last for months. Not to mention the elegant black matte stainless steel grip attached with machine screws for a comfortable and firm grip. In addition, the product comes with a leather case and velvet bag, so it makes the perfect gift for a special occasion. The manufacturer stands by the product with a no-hassle, no-questions-asked money-back guarantee, and reviewers are praising the razor. For those looking to purchase one of a kind best straight razor, Velvet Forge’s product is an excellent choice. 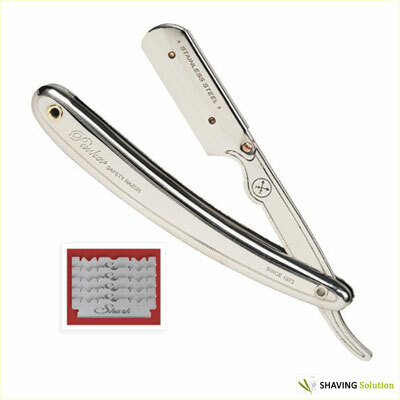 It’s also an excellent choice for those looking to get started or to replace an old razor. The price is right, the company stands behind the razor, and the level of workmanship is high. Note: This product is not available at the moment, but you may still want to check out a similar option from Professional Barber. It’s made of rust-free 430-grade stainless steel and features an ergonomic design. Dovo is the gold standard when it comes to straight edge razors. So, if you’re serious about wet shaving and are looking for a starter razor, this is a good choice. This razor will quickly pay for itself in savings on blade purchases. Dovo’s products are classics. So buying and using a Dovo for the first time will be an experience in and of itself. True straight edge razors don’t normally come “shave ready” out of the box. This is why you’ll have to get your Dovo professionally honed for best results, although you’ll probably be able to shave with it once it arrives. This Dovo razor is light enough to maneuver but substantial enough to get a decent grip. And, with its hollow handle, you’ll be able to hear a slight reverb with each stroke. You can use it as feedback to help perfect your technique through practice. If you’re serious about shaving with a straight edge razor, you should take a closer look at this entry-level Dovo model. If you’re just curious, you can start out with a shavette or a true straight edge that comes ready out of the box. Make sure to read other customers’ opinions about the straight shaver to see why it is a safe bet. This straight edge razor is one for the professionals of using blades to shave. 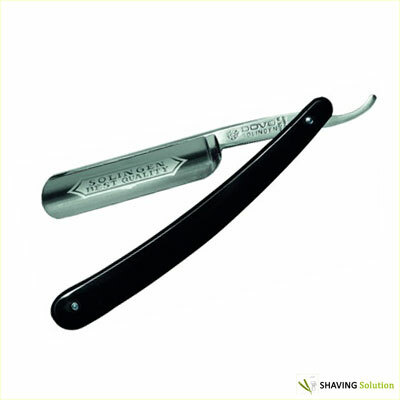 The Parker SRX razor has a genuine stainless steel blade arm of the highest quality. In addition, it has a snap lock to secure the blade in place. This heavy-duty razor is designed for the professionals, with its heavyweight steel blade arm and scales, weighing 2.3 ounces. And, as a safety measure, the rounded exposure at the end of the blade compartment minimizes the risk of accidental cuts. In addition, it has a clip/ lock blade holder, with insert. This makes the blade insertion a secure procedure. You can use barbershop single edge blades or 1/2 double edge blade. Of course, it comes with 5 Shark super stainless half blades. So, it is guaranteed to last. This Parker heavy duty stainless steel is on this best straight razor list for it has received a lot of positive reviews from people that are used to this kind of shaving. 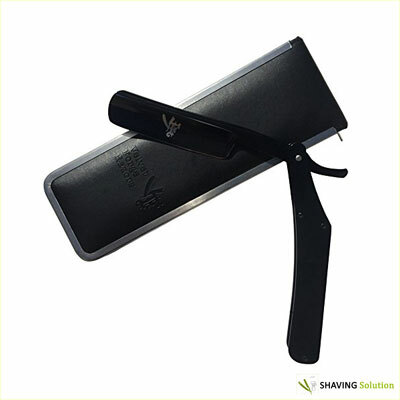 The Feather SS Razor is one of the most well known and best straight razor made by Feather. It features a non-foldable razor with a handle that is heat resistant up to 135° C, which means that this one is made to last. The reason why its handle is so heat resistant is because it is made of silicone resin, which is a synthetic material which is highly reliable on – it is used as a plaster for building facades, for example. The blade is made of stainless steel. The fact that the handle is made of silicone resin makes it perfect to hold and grip. While the blade is shorter than other types of razors, this allows for complete control over the shave. And it offers more control and accuracy when it comes to narrow areas on your face. The blade has a spring mounting, which makes it very easy to change. By squeezing the razor head, it pops out; this allows for easy cleaning too! Of course, you will want to use the Feather artist club razor blades. However, keep in mind that those are not included, unfortunately. For sterilizing, use boiling water or ethanol. Keep clear of sodium hypochlorite (bleach). However, seeing that it has a perfect 5-star score, it is definitely worth including in our best straight razor list & the buy. 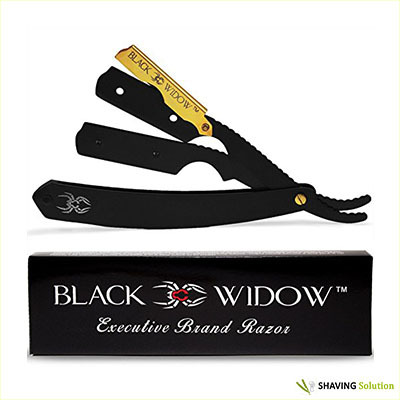 The Black Widow straight razor is made from 100% rust-resistant stainless steel and it’s one of the best straight razor options for those that are looking for a durable product. Because of the material it’s made of, it’s perfect for thick beards. This tough, corrosion-resistant razor is double-coated with matte black paint to add durability and prevent chips. What’s great about it is that it doesn’t need stropping or sharpening. The blades are disposable, so you can safely share this product with other users in a safer, hygienic manner. Weighing in 2.6 oz, this shavette causes less vibration when you’re shaving and puts less strain on the hands than other products of its kind. The 1.5mm blade exposure, however, makes it an ideal option for more experienced users. If you’re a beginner, you may want to choose another razor from this list of best straight razor options . Now that you know all you need to know about straight razors on our best straight razor list, just make sure you choose the one that fits your needs the best. If you’re a beginner, we recommend you start with the much safer ones. It will allow you to practice shaving with these types of razors and, at the same time, it will ensure you don’t cut yourself while shaving. Especially if you’re a beginner shaver, the sharper ones can lead to serious injuries, which you should avoid. Do you use these shavers, or have you ever used one of these? Have questions or recommendations? Let us know in the comments below. We’ll make sure we take them into account!